Julia Lisuzzo,’08 (MBA), who has worked at RIT for 20 years, is the first leader of the Alumni Faculty and Staff Chapter. Lisuzzo, will announce the chapter’s mission and welcome new alumni faculty and staff during a breakfast from 9 to 10:30 a.m. on Nov. 19 at the Gene Polisseni Center. The Golden Brick award also will be presented at the breakfast. The award recognizes alumni faculty and staff who have given back through volunteer work, leadership talents or donations to RIT. The chapter’s breakfast committee selected this year’s recipients. 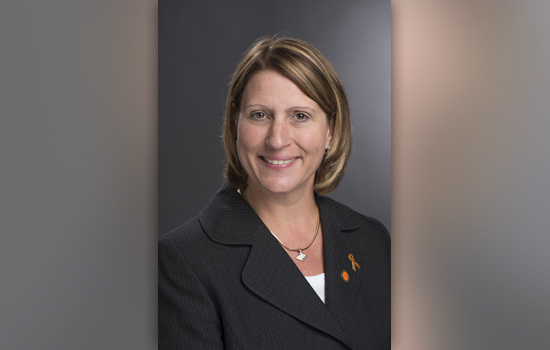 “The goal of the chapter is to engage more faculty and staff alumni and advance the mission of RIT through philanthropy and community service,” Lisuzzo said. Lisuzzo, director of administration operations for the Wallace Center, started working for NTID in 1995. She previously chaired the Staff Council and volunteered for the annual Alumni Faculty and Staff luncheon. She pursued the chapter’s leadership role after it was formally organized in August to strengthen faculty and staff connections. More than 1,500 faculty and staff are alumni of RIT. The chapter has established a welcoming committee to acknowledge new alumni faculty and staff and faculty and staff who have recently graduated. Members have also sponsored this year’s Tiger Walk. They are planning to participate in the Global Day of Service next year. In the future, Lisuzzo plans to form a steering committee composed of members from each college that can reach out to faculty and staff within their department.